UPDATE 6/26: Disney has confirmed that Trump will have a speaking role in the updated attraction and that the opening date has been pushed back to sometime in late 2017. “The same thing that we’ve done with other presidents, is the same plan we have for President Trump,” said Jacquee Wahler, vice president of communications. When asked if Trump would have a speaking role, Wahler said that he would. Please note that the following are rumors, and this article is being updated above as more information becomes available. The Hall of Presidents at Disney’s Magic Kingdom was due to reopen this month featuring an updated show and one new figure, the 45th president, Donald Trump. The show has not yet opened, and there’s little sign of it opening any time soon. Word has been going around lately that Disney just isn’t sure yet what to do with this one. When the attraction closed back in January it was said to be reopening by June 30th. It’s still possible that it will, however if you check out the official website’s listing, it no longer lists an opening date. The My Disney Experience App still says the refurbishment is through June 29, but cast members in Liberty Square have been saying not expect it to reopen until late summer at the earliest. Some rumors are even pointing towards a Fall opening! 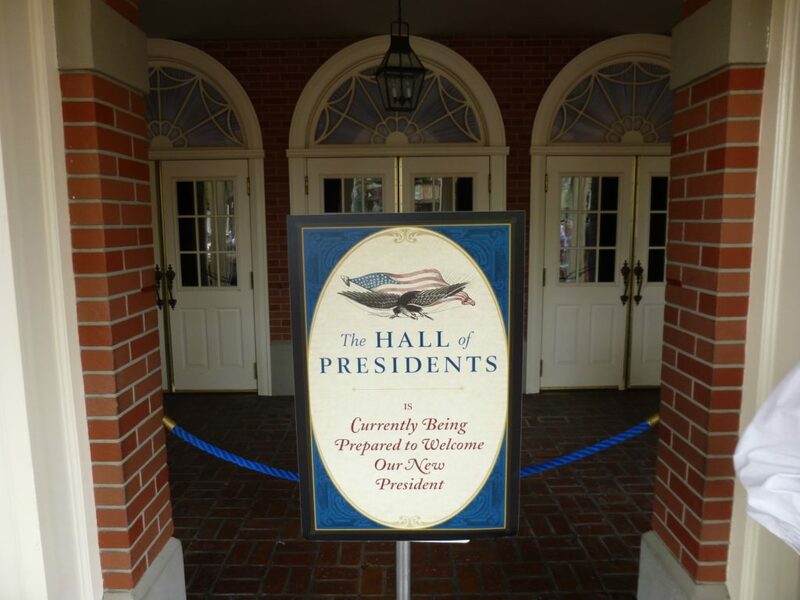 As part of our continuing efforts to exceed the expectations of our Guests, The Hall of Presidents is currently closed for enhancements. Please check back here for the latest updates and information about when it will reopen. Controversy has of course surrounded the inclusion of the new president in the show, and to what extent he will be included. Several petitions have been passed around the web calling for Trump not to speak in the new version of the show and last month a cast member reportedly admitted that they might get their wish. Breaking with the recent tradition of including a brief speech by the incoming president, Trump may actual set the show back to its original pre-1993 format, where new presidents remained silent. Speaking roles would be left only to Lincoln and Washington during the show. Whether the new president’s lack of a speech will be due to the volatile political climate, or, perhaps his office simply never responding back to Disney to set a date to record something may never be known. 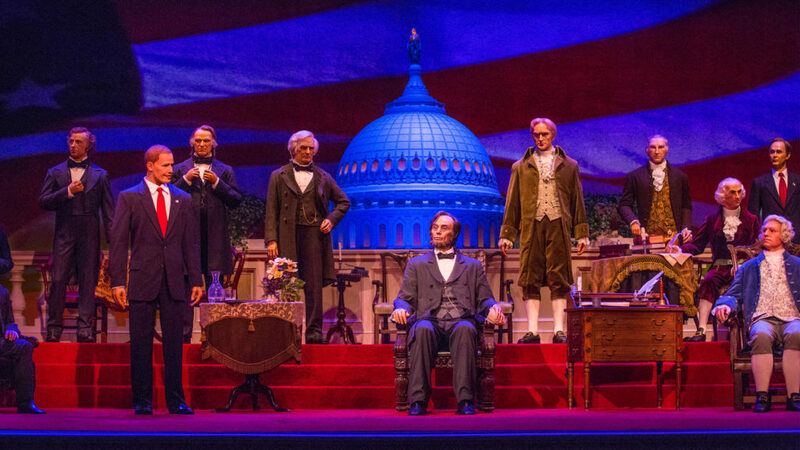 There is always some controversy every four to eight years that Disney faces when adding an animatronic facsimile of the new sitting president, but this may be the first time they’re actually not sure on how to proceed… Or at very least, when to re-open. It is of course entirely possible that the attraction will re-open June 30th, as originally scheduled, but without a peep from Disney themselves. No marketing and no announcement, hoping not to stir up any (more) controversy. Personally, I’m a fan of the show. It received a beautiful upgrade in 2009 that saw an entirely new digital sound and projection system as well as new narration by Morgan Freeman. It’s a great attraction to get out of the Florida heat and into some air-conditioning, but it’s also just an impressive show. It’s incredible to see over 40 realistic figures staring back at you. I truly hope Disney works out their plan and announces a new re-opening date, because I miss the attraction, and cannot wait to experience it again! 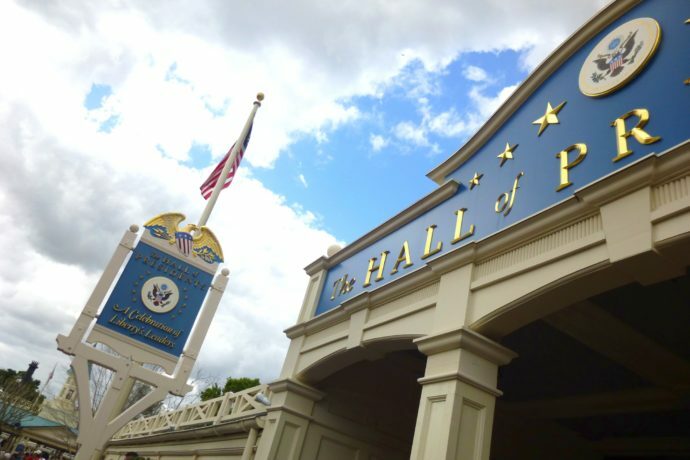 Stay tuned for more theme park news including the re-opening of The Hall of Presidents and much more coming soon! Subscribe to the news feed to stay informed. I hope Disney will NOT get involved in nasty political exchanges that are sweeping the USA. The new presidents have always spoken – please do NOT change this! This IS our new President – so may not like it but HE DID WIN … so we will live with it as we have done with all the past presidents. 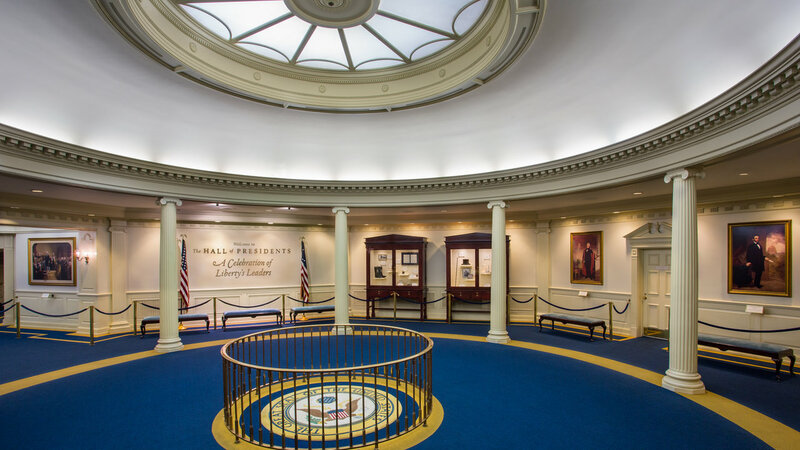 This is the HALL OF PRESIDENTS …. not a voting booth! PRESIDENT TRUMP is the President of the USA … get over it! All the new presidents have spoken, this new president should NOT be any different. As the Disney Corporation is currently managed, your wallet is the only vote that matters. I will be at WDW in December 2017, and fully expect this attraction to be open and “fully functioning”. I will seek a full refund if anything less is offered. Mr. Iger’s candidate lost the election – get over it. PRESIDENT Trump better be speaking like all the others did!!! !’ I’ll be there in early February. I’ll be looking forward to visiting the Hall of Presidents as soon as it’s reopened. I will love the new presidents speech during the show. He always has helped the majority of Americans feel proud of our voting process. Looking forward to the reopening!